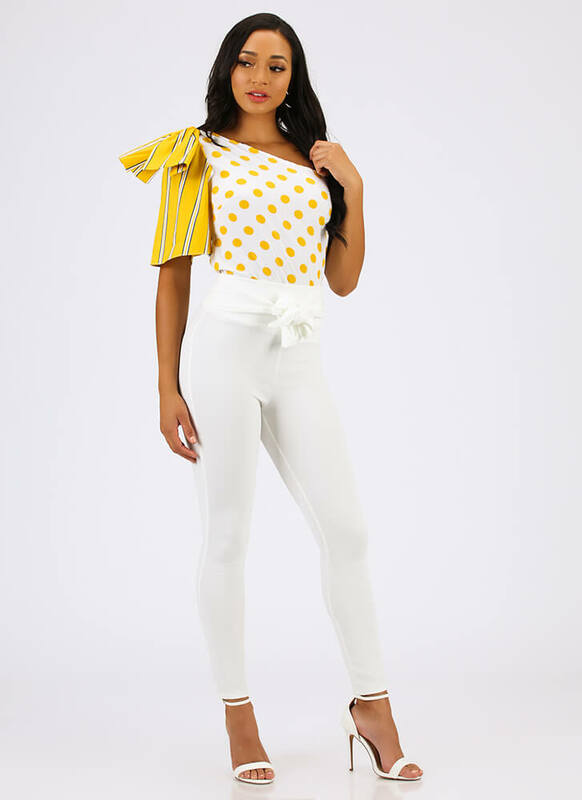 You and this top go together like circles and stripes -- perfectly! 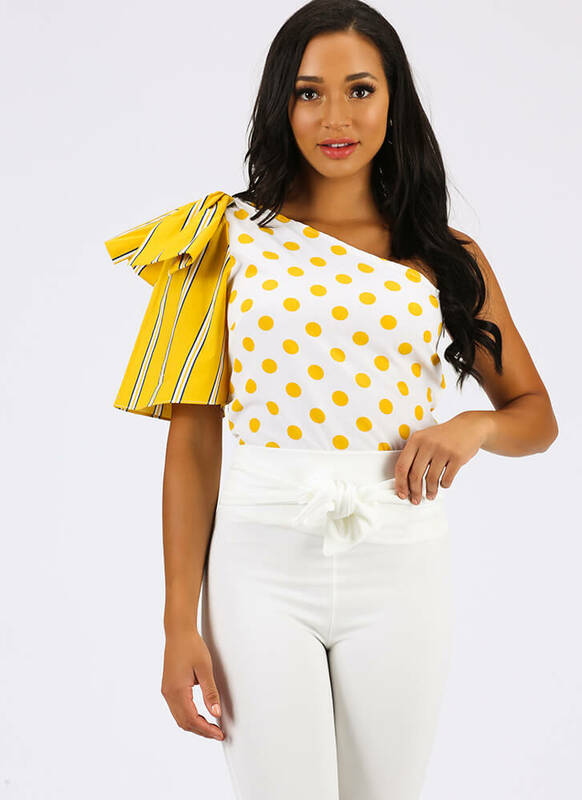 Lightweight, semi-stretchy, asymmetrical blouse features a one-shoulder design, with a polka-dot-print body and a flared, structured, three-quarter sleeve that is in a complementing pinstriped pattern. Top is finished with a hidden side zipper for easy on and off.